Самолет Saunders A.3 Valkyrie, построенный в 1927 году, создавался как военная летающая лодка с экипажем из пяти человек и был оснащен тремя 650-сильными (485 кВт) ПД Rolls-Royce Condor III. Он был значительно крупнее своих предшественников (размах крыла 29,57 м). 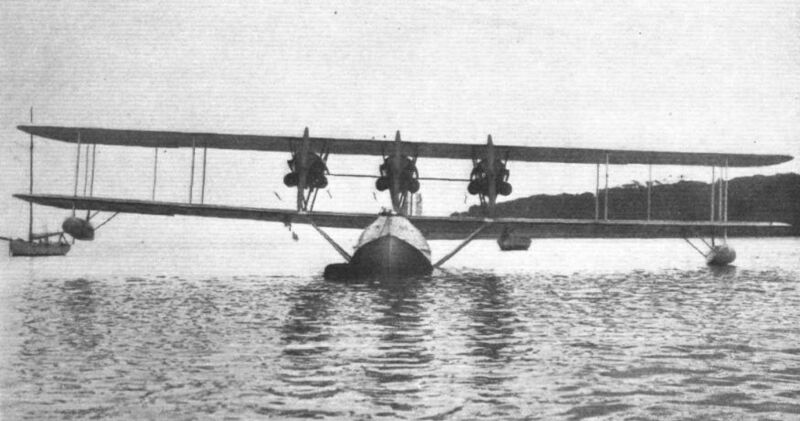 S. E. SAUNDERS, LTD., of East Cowes, Isle of Wight, have specialised for many years in flying-boats, the "Valkyrie" being one of their latest products. The machine is fitted with three Rolls-Royce "Condor" IIIA engines, and is designed for the duties of fleet reconnaissance. Machine guns are carried in the nose, and in staggered scarf rings in the tail, and there are fittings to carry bombs under the wings. The machine is mainly constructed of wood, but metal fittings are made from stainless steel. Hull. - The hull is built of Saunders' patent copper-sewn laminated planking on the elastic principle, and is fitted out with bunks and living quarters for a crew of five. Wings. - The wings are in the form of an equal-span biplane, large areas of which are covered with planking for access to engines, controls, and other parts. Tail. - The construction of the tail is on similar lines to that of the wings, tail-adjusting mechanism being provided. Controls. - Control is provided for two pilots, and all the surfaces are balanced with continuous leading edge balance. The rudder control is by Servo from a small Servo rudder pivotting on out-riggers behind the main rudder. Engine Installation. - The engines are installed in three identical all-metal mountings placed between the wings, and are fully faired with duralumin fairing. Access to these mountings is by means of the aforementioned platforms on the wings. Three oil tanks are provided in the fairing behind the respective engines. The whole of the petrol is carried in two large petrol tanks, mounted in the top plane of 460 gallons each, giving a gravity feed to the engines. 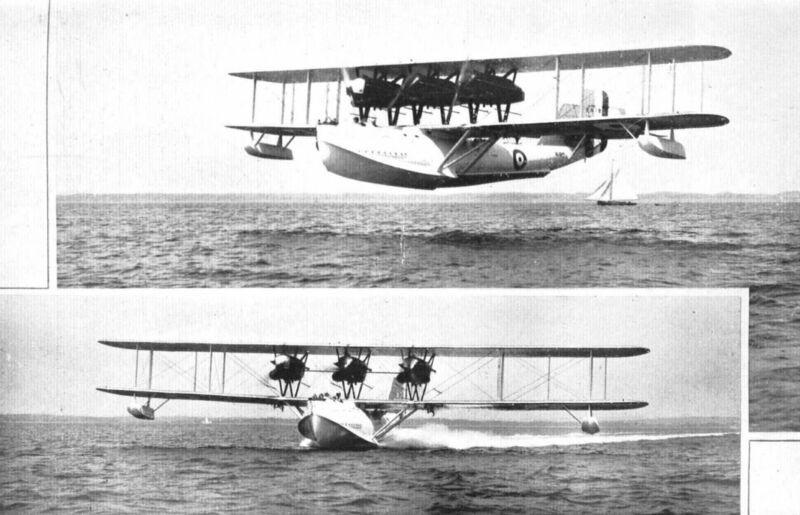 A REAL FLYING SHIP: These two views show the Saunders "Valkyrie," with three Rolls-Royce "Condor" engines, in flight and "planing." The clean running should be noted. The "Valkyrie" represents one more step towards the flying cruiser of the future. THE SERVICE SCANDINAVIAN CRUISE: The one of the four R.A.F. flying-boats which are taking part in a cruise round Scandinavia. The Saunders "Valkyrie" (three "Condors").